The New York based asset manager which has five women on its 18-member board, wants companies to look for directors in more uncommon places. BLACKROCK Inc., the world’s biggest asset manager is not buying excuses from companies that say they can't find women to fill diverse slots on boards. The asset manager earlier this year sent letters to companies in the Russell 1000 index with fewer than two women on their boards, asking them to explain their lack of progress in this direction. As per Michelle Edkins, the firm's global head of stewardship, some of the responses were surprising. Speaking at an interview at the SRI Conference in Colorado Springs, Colorado last week, Edkins revealed that the among the most frustrating responses were replies such as there are not any qualified women or that companies thinking they did not need a woman director. Some companies replied that they did not need more women as they were not a consumer-facing company. However, BlackRock, whose research shows that more diverse boards get better results, does not see a dearth of female directors. The New York-based asset manager which has five women on its 18-member board, wants companies to look for directors in more uncommon places. While companies are well aware of the positive effects of a diverse workforce, progress in achieving that has been tardy. According to a recent The Women in the Workplace 2018 study conducted by McKinsey and LeanIn.Org, gender equality in the workplace is ‘agonizingly slow’. For every 100 men promoted to the manager level, there are only 79 women who get the same promotion. 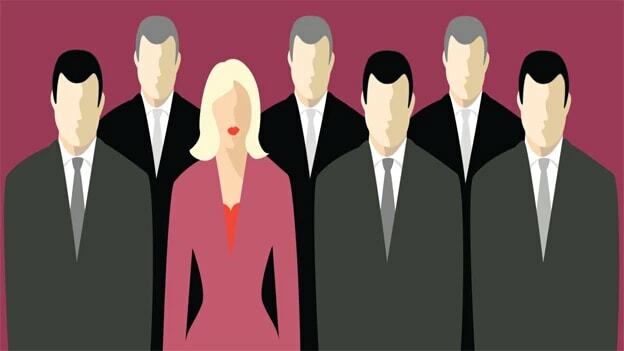 Even though women have more bachelor’s degrees than men, they are less likely to get hired in managerial roles, according to the study.